Efficiently handling customs is the key to a profitable import or export business. Customs are the gatekeepers who regulate the flow of goods in and out of their countries. HM Customs & Excise have far reaching powers to enforce all the legislation and regulations that impact on the import or export of goods from the UK. A large part of successfully handling customs is to understand how the Tariff (that classifies your goods) is linked to the amount of duty (VAT) that you have to pay. The SAD document (also known as form C88) is the basis of the customs procedure across the EU. Coupled with the Tariff, SAD enables you to classify your goods and also acts as your import/export declaration. Your business should have full access to the Tariff as part 3 in volume 3 gives full details about how SAD should be completed. Your TURN number is your business's VAT number plus a three-digit suffix. This number is vital as you will clear your consignment through customs using an electronic system called CHIEF (Customs Handling of Import and Export Freight) that uses your TURN number. If you don't have a TURN number you can obtain one from HMRC or by calling 01792 634 004. All of the consignments that are travelling between EU member states are tracked by the CHIEF system. The mode of transport doesn't matter as every consignment should be logged on the CHIEF system before it left its home port. It is vitally important to ensure you or your agent understand how CHIEF works so your imports and exports are processed efficiently. So that your business pays the right amount of duty, every type of good that your business imports or exports must have a commodity code. This code classifies your goods for customs purposes. Every type of goods has already been assigned a code that you can locate in volume 2 of the Tariff. There is also a Tariff Classification Service that you can contact on: 01702 366 077 for more help. As well as the commodity code customs will also want to see on your SAD your consignment's Customs Procedure Code (CPC). This describes in detail the purpose of your imports. If your business buys roughly the same amount of goods from a supplier that you import into the UK, the GVS system can be very useful. A GVS is like a season ticket that you can use to quickly move your consignments through customs. To use the system the value of your imports must be over £6,500. You can read more about the system on the HMRC website: http://tinyurl.com/6pkwky. 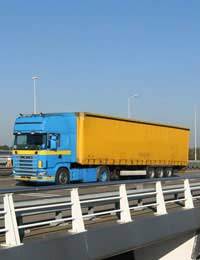 If you are moving goods between EU member states you must use NCTS. Each country has their own version, but they are connected together to form on electronic system that track goods as they move across EU boarders. You must use this system as paper documents are now banned. If your business will be moving goods from outside of the EU to the UK, the none EU country is called the 'third country'. The CFSP system tracks these goods for customs purposes. The CFSP system is modular so you can design to meet your business's exact needs. Import duty is only due on goods that you bring into the UK from a third country. It's a good idea to use an agent to help you handle the paperwork that is associated with import duty as mistakes can mean that your business pays too much VAT on the goods it imports. Customs will want to see your customs declarations for each consignment before they release them to you. The declaration is your SAD/C88 form. Don't forget that you can use the Customs Freight Simplified Procedure (CFSP) to get your consignments through customs more quickly. When your goods move through customs you may also have to provide specific documentation for certain goods. If you are importing fresh fruit for instance, you must provide customs with a properly completed Certificate of Conformity. You can obtain these certificates by registering with PEACH (Procedure for Electronic Application for Certificates). You can read more about PEACH on the Defra website: http://ehmipeach.defra.gov.uk. If your goods are also of animal origin you will also need a valid veterinary certificate stamped by the Border Inspection Post before customs will allow your goods into the UK.